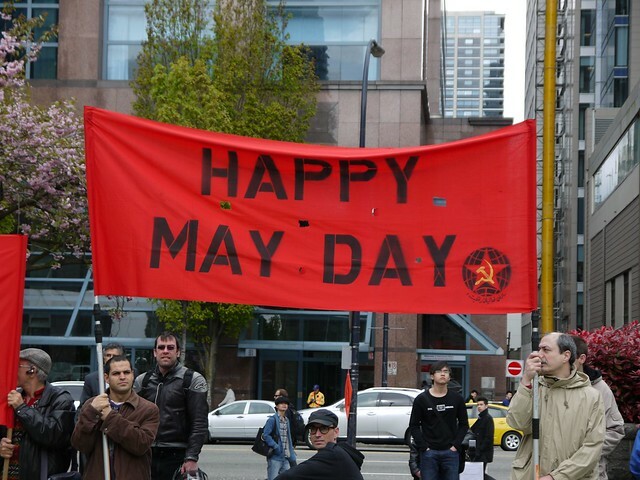 Peter Linebaugh is professor emeritus at the University of Toledo, and the author of many books, including the Magna Carta Manifesto; Stop Thief, The Commons, Enclosures and Resistance, and his newest, The Incomplete, True, Authentic, and Wonderful History of May Day. Avi Lewis is a filmmaker known for The Take, co-directed by Naomi Klein, and This Changes Everything, a documentary on climate change and resistance, released in 2015. This entry was posted in All Posts News Politics and-or Videos, Dandelion Salad Videos, Global Warming, History, Labor, Police State, Politics, Socialism and tagged Avi Lewis, Class Warfare, Climate Crisis, Cooperatives, Lucy Parsons, May Day, Peter Linebaugh. Bookmark the permalink.